A spiralizer turns carrots, beets, and squash into noodles (or "zoodles" when using zucchini). Check out a recipe. Use chef’s knife to trim off ends of zucchini. 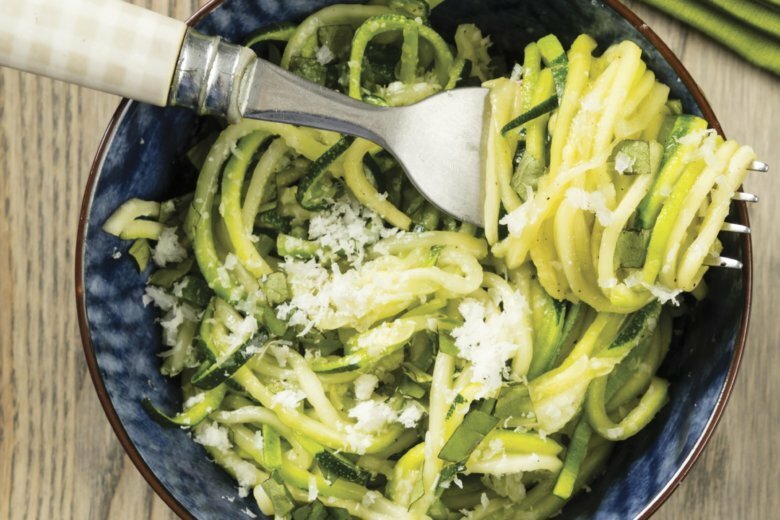 Use spiralizer to cut zucchini into 1/8-inch-thick noodles. On cutting board, pull noodles straight and use kitchen shears to cut them into 12-inch lengths.